Creating an eyewear collection that showcases individualism, IDEE is the eyewear brand that perfectly defines the mantra of today’s generation – ‘stay focused’. IDEE designs eyeglasses and sunglasses that appeal to the youth. 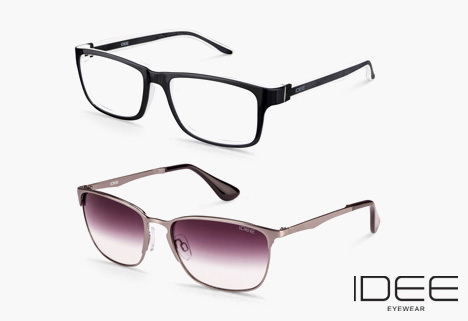 With the motif chic-elegance throughout the collection, IDEE carries a vast array of exclusively designed frames. The alluring range of eyewear is crafted with light-weight, yet sturdy materials to make them ultra-comfortable. The IDEE eyewear is setting an uber-cool trend while maintaining its contemporary classiness. They are ideally made for the style-savvy young men and women.